THE SKY I SCRAPE: That's A Pretty Sweet Jacket! 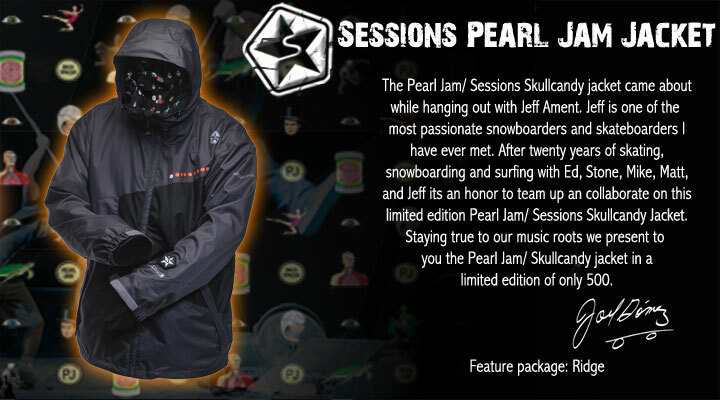 If your twin passions are Pearl Jam and snowboarding, you might feel the need to drop $369 on this limited edition (500) jacket created as a collaboration between Sessions, Skullcandy, and Jeff Ament, available in dark grey and orange with a Backspacer lining. Sessions Pearl Jam Jacket allows you to control your music from a custom five button keypad on your sleeve and blast it loud from it built in speakers.